Take a Student Tour Group to DC the Easy Way! 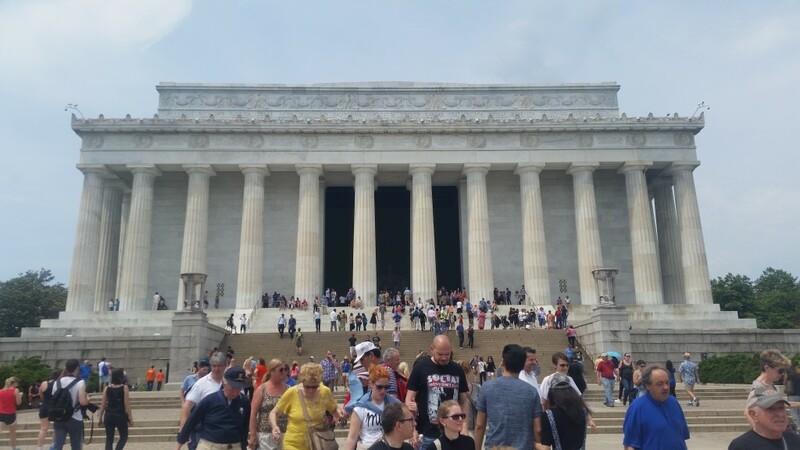 Home » Site InSpections » Take a Student Tour Group to DC the Easy Way! Who said student travel in Washington, DC had to be hard? With the right partner, touring the nation’s capital doesn’t have to be a pain. Do you enjoy driving in traffic in an unfamiliar city? How about waiting in line with a group of caffeinated kids? Us neither. That’s why we’re interested in things that make student travel planning easier – like hiring someone else to do the driving, plan an itinerary, and take over tour-guide duties. So, whether you want a customized itinerary or the freedom of a hop-on hop-off tour package, check out what the folks at City Sights DC have to offer. Washington, DC manages to pack 1,500 miles of roads, over 300 attractions and a little thing called the federal government into 68 square miles. So you could say it’s a busy place. In addition to some of the big-name attractions – the Newseum, National Museum of Art, Library of Congress, United States Holocaust Memorial Museum and important presidential and war memorials – there are also a few things that you’d need a local to point out – and that’s where having a tour guide comes in. What Must-See DC Sights Should I Plan for My Student Travel Group? Whether you’re looking for a daytime tour of the must-sees or an unforgettable nighttime tour of the city, you’ll be glad that you can turn the navigating and driving responsibilities over to the pros. What top DC activities can you enjoy while someone else does the logistics? Visit the White House. Every schoolkid knows the address: 1600 Pennsylvania Avenue. During their visit here, they’ll get to know the building at that address – and the history behind the building. 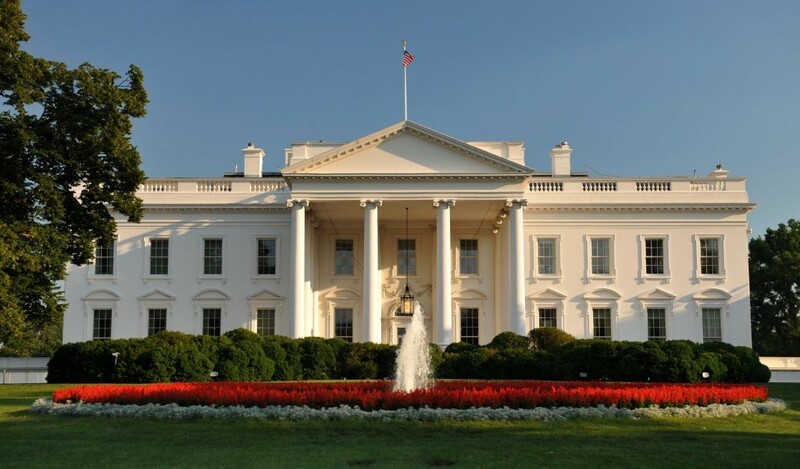 Built between 1792 and 1800, the White House has served as the home of every president since John Adams. And it’s not just pretty to look at: its 132 rooms and six levels include the West Wing (where all work offices were relocated per Teddy Roosevelt’s orders in 1901), the Oval Office and a two-story basement. The building itself been ranked second on the list of America’s Favorite Architecture. See the Lincoln Memorial. Situated across the National Mall from the Washington Monument, the Lincoln Memorial is instantly recognizable. It’s also one of the area’s major attractions, hosting about six million visitors annually. The memorial contains an iconic statue of the 16th president and inscriptions of his two most famous speeches, the Gettysburg Address and his Second Inaugural Address. The Doric-style building has also been associated with other momentous events in US history, including Martin Luther King Jr.’s “I Have a Dream” speech. Incidentally, Dr. King’s memorial is located near the National Mall, right by Franklin D. Roosevelt’s. Look at Famous People. Or their portraits, anyway, at the National Portrait Gallery. 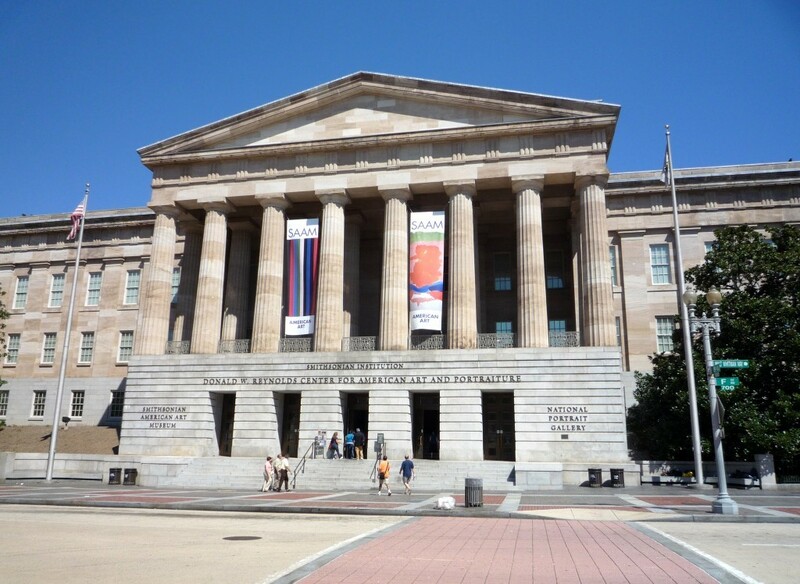 Housed in the Old Patent Office Building, the gallery includes exhibitions and collections dedicated to influential people in American history. It strives to illuminate the history, development and culture of the U.S.
Go to the Library – the biggest one in the country. 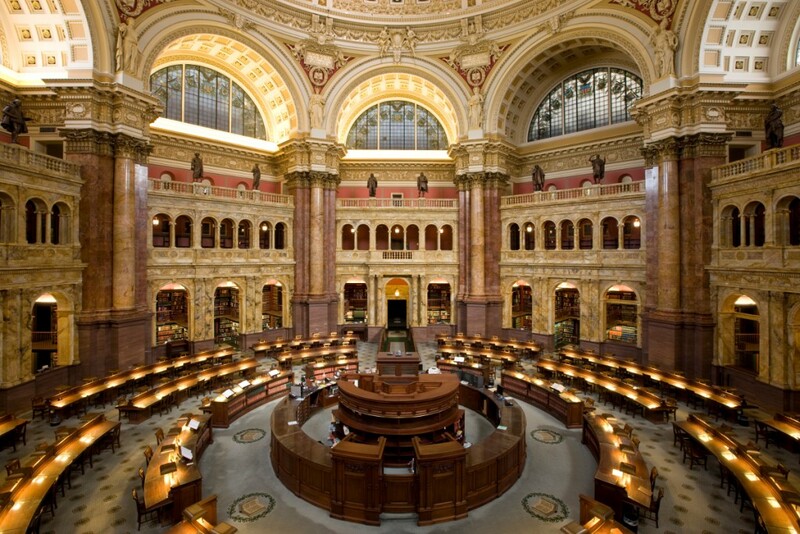 The Library of Congress is home to an amazing 160 million items, from photos to books, including manuscripts, sheet music, recordings, films and maps. And while this might keep history students happy for days, architecture students will want to check out the Thomas Jefferson Building itself, which is a visual wonder in its own right. Climb the Washington Monument. We mean this literally – there are 898 steps to this sightseer’s goal. The tallest monument in DC and the tallest stone structure on the planet, it offers spectacular views of the city and surrounding monuments to those fit enough and willing enough to make the trek. 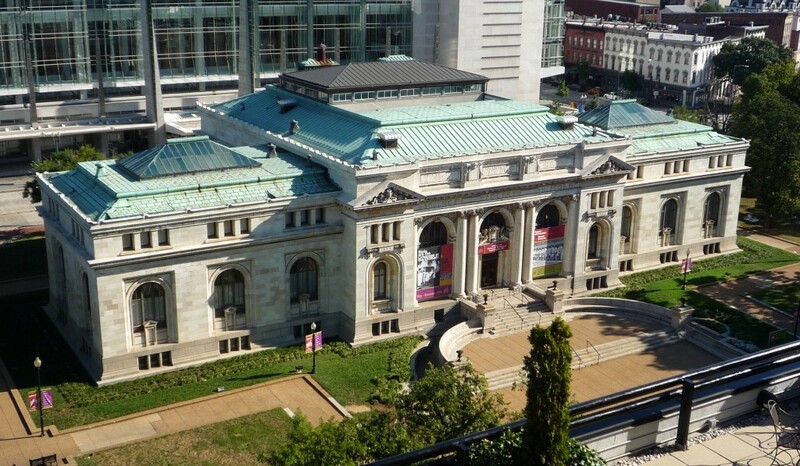 You’re unlikely to run out of educational ideas in DC, but if you do, a stop at the Historical Society of Washington DC will surely get your creative juices flowing again. Think of it as an overview of the capital, as well as a crash course in the events, people and places that shaped it. Is There Something Else I Need to Know About Touring DC? Don’t be afraid to change things up with your tour. 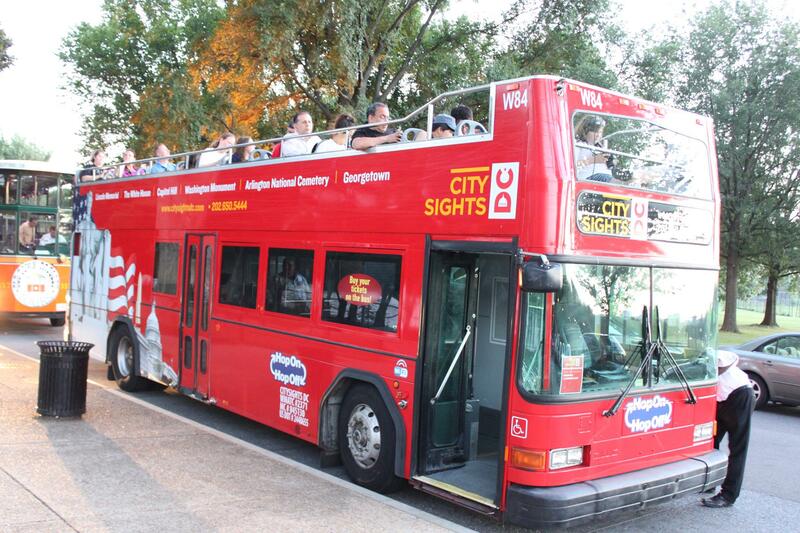 With City Sights DC, your group can experience the city by bus, bike, boat, or any combination thereof. You can even take your students on walking tours. And City Sights DC is ready and willing to help you come up with customized tours that exactly fit your needs, right down to booking, transportation and itinerary planning. So, when planning your next student travel trip to the DC area, you’re not on your own in a city of over half a million inhabitants and a population density of nearly 10,000 people per square mile. You’ve got a friend in your corner – one who happens to be in the business of planning travel itineraries and taking the snags out of group travel. Have you planned a student travel outing to the Washington DC area? Let us know how it went! Tell your experiences in the comments section below. Thanks! 10 Places to Visit on Your Student Trip to Washington, D.C.
What Needs to Happen 30 Days Prior Your Student Trip Departure? Student Travel Planning Guide is the place to research and organize your next student group adventure. In our website, e-newsletter and print publication you’ll find the top student travel destinations, new performance venues and student-ready attractions. Learn about the best student tour operators, uncover new hacks and find new best practices so you can orchestrate phenomenal student trips.